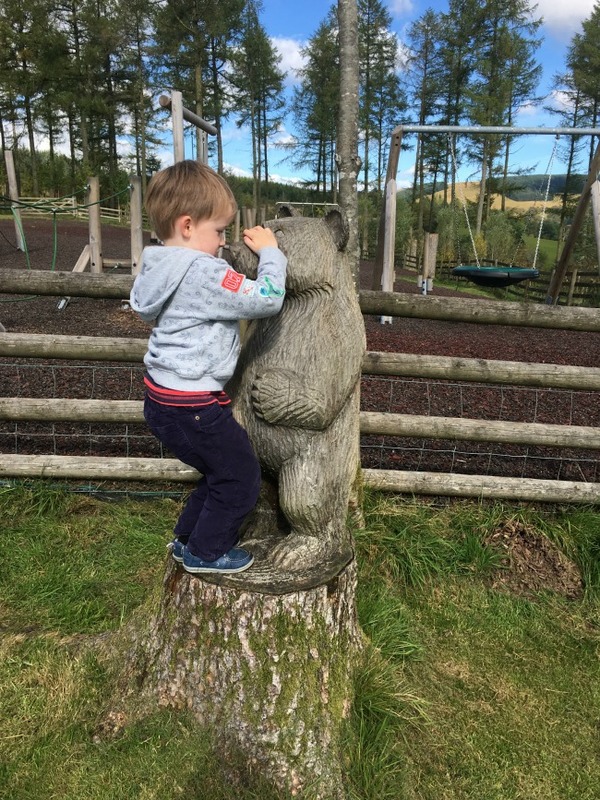 This week #MySundayPhoto is of Bear with baby Bear at Garwnant. It is a wonderful place, free except for a small charge for parking. It has walks, sculpture trails and a great playground. There is a visitor centre and a cafe too, all in the foothills of the Brecon Beacons. We love it there. 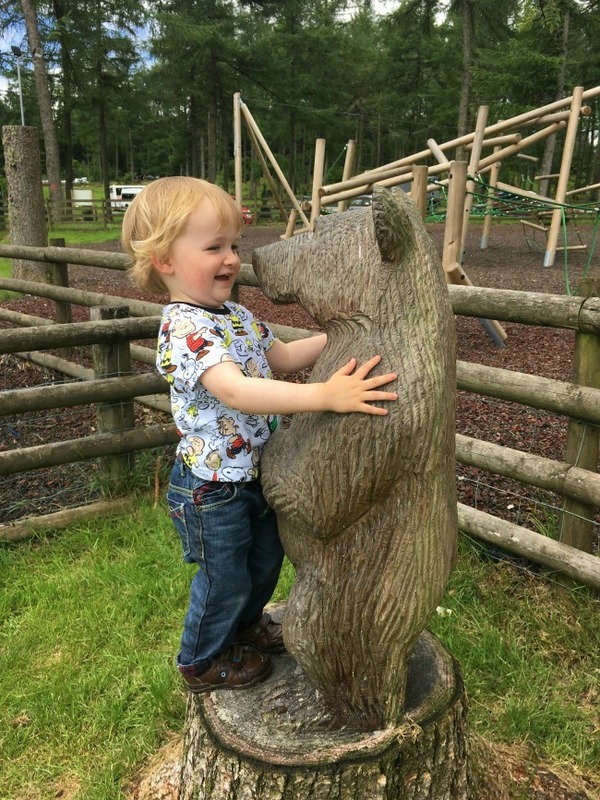 Last year was our first visit and Bear just loved Goldilocks and the Three Bears, Baby Bear was his favourite. It is lovely to compare the photos and see just how much he has grown. 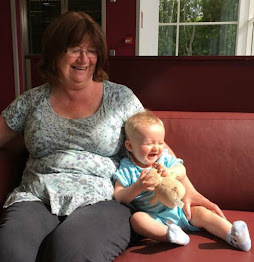 As usual we have linked up with Darren at Photalife for #MySundayPhoto, there are lots of wonderful photos over there, click on the badge and it will take you there. Hi Cardigan, he really has grown up in a year! It's not until you see photos side by side that you realise just how fast they do grow. I love the delight in his face, so innocent!